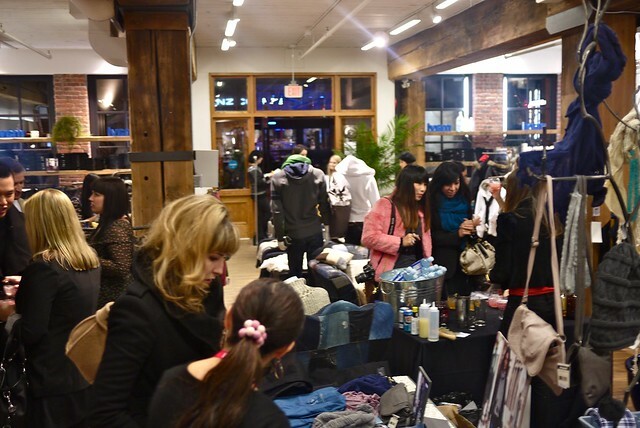 Mavi Jeans holiday shopping event in Yaletown on November 23, 2011. The holiday season means shops are in full swing. 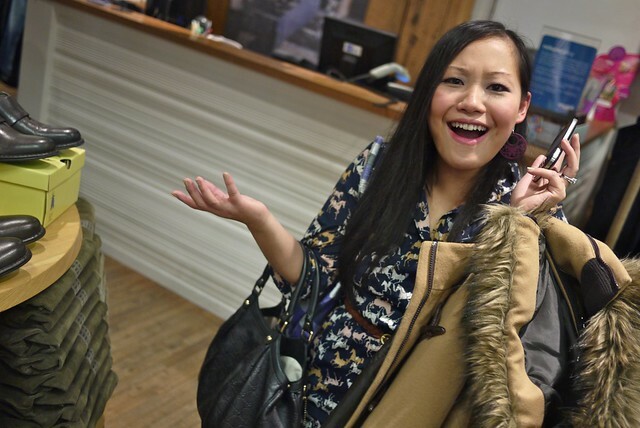 This week was crazy with holiday shopping kick-offs. 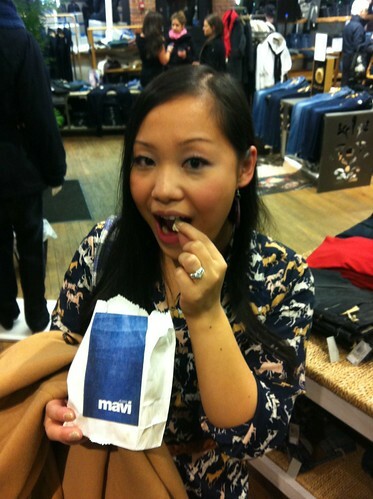 I headed into Yaletown for Mavi's holiday shopping event. 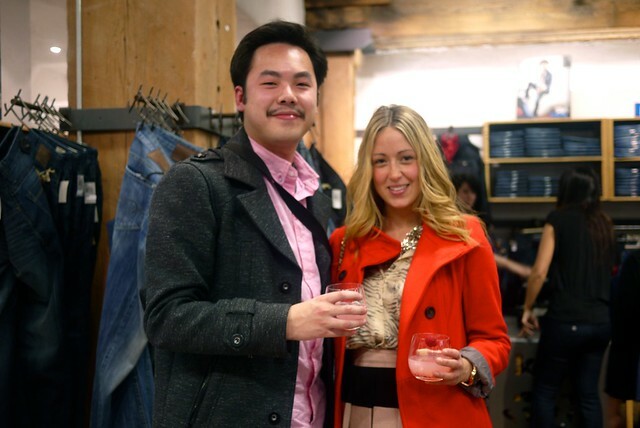 I mixed, mingled, shopped, drank, and ate popcorn with Sophia Cheng and some of my favourite fashionable people like Melissa Knight (very top), Eryne Ordel, Brittany Greenslade, and others. 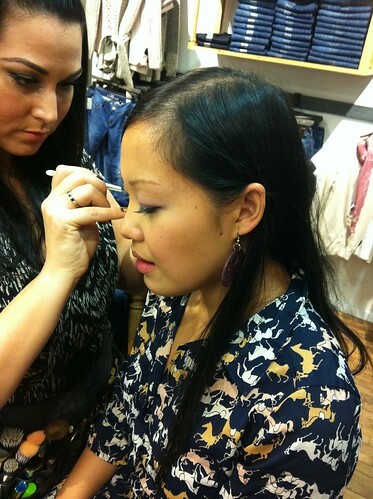 The beauty eyelash station was a big hit with the ladies done by Noir Lash Lounge and The Studio by Mika Does Makeup. 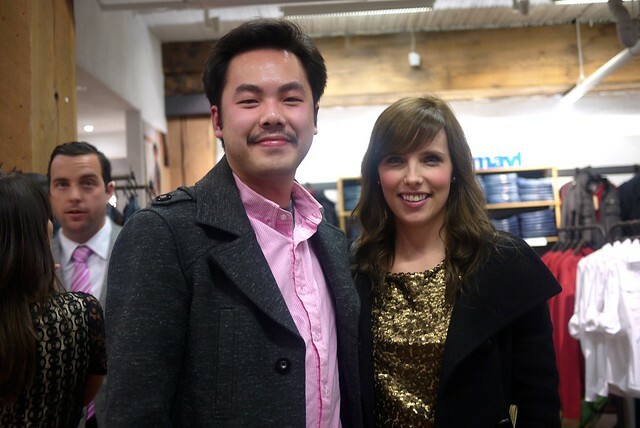 I felt extra self-conscious with my Movember 'stache (looking inexplicably bloated) posing with fashionistas like Cara McLeay (above) from A Fashion Love Affair blog. 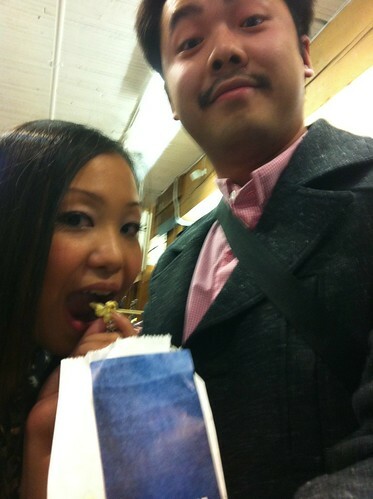 We agreed the popcorn was good, ready for us in prepackaged bags to soak up the bourbon and raspberry cocktails. Sophia did not look happy when I decided to start taking her picture when she was talking on the phone. Haha. 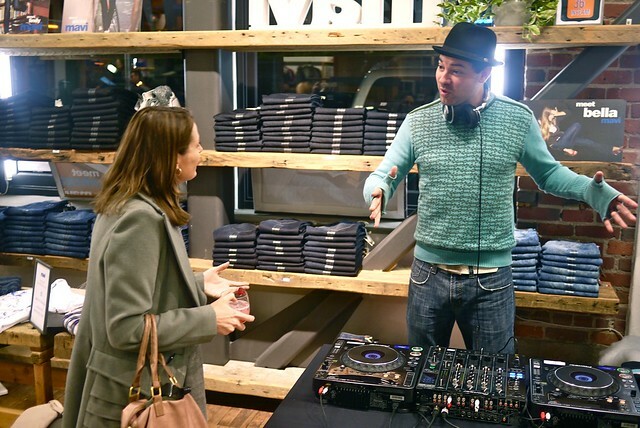 DJ Tyson Villeneuve and Shelley Mantei were clearly talking about something big, possibly their huge savings. I like it when relatively simple events are amped up with a few perks into fun social events and gatherings.